Around the Corner | Pop Up Flea V | A Continuous Lean. 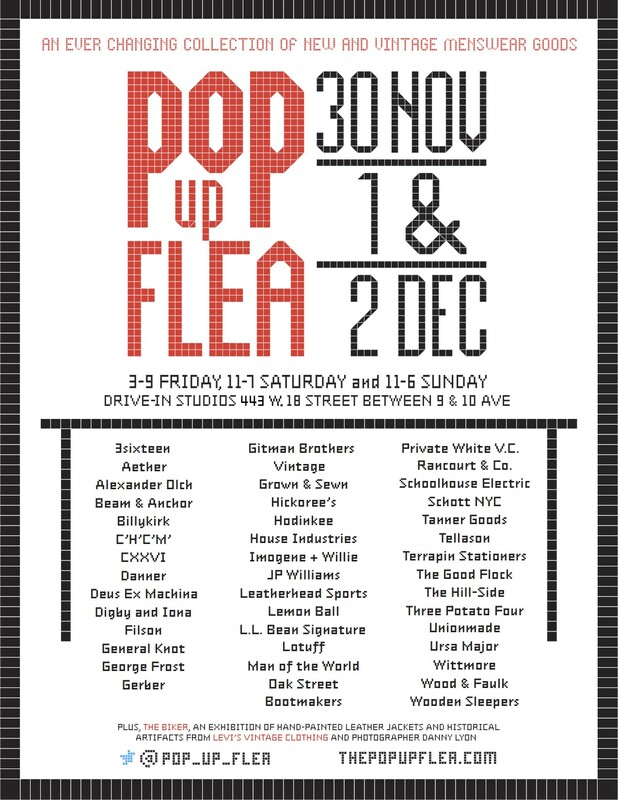 An update with the vendor list for Pop Up Flea V that is taking place this coming weekend at 443 W. 18th Street.We have some really exciting new vendors and additions to PUF this time around with two floors of shops that will be full of interesting and compelling vendors from all over the United States. We will also have more than just clothing – expect everything from classic cars to home goods, vintage watches and a huge amount of other well-made stuff. 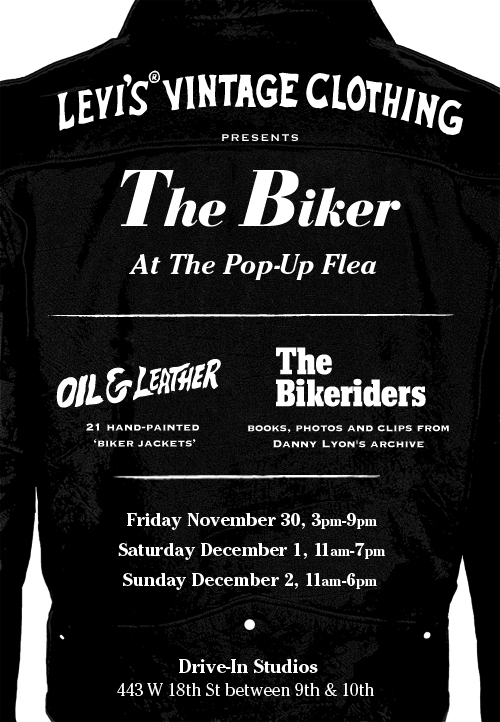 Additionally, Levi’s Vintage Clothing has taken over an entire studio on the second floor of the Pop Up Flea for ‘The Biker”, an exhibit of hand painted leather motorcycle jackets and also features books, photos, and other materials from the archive of with photographer Danny Lyon. The PUF is the only place in NYC to see the LVC exhibit, so now is the time people. so sad i can’t be there this year. Wish i can be there!! God I wish this would happen in L.A.